Ever hear that Golden Delicious is the yellow cousin of the popular Red Delicious apple? Actually, they are related in name only, but this honey sweet apple is a special treat all on its own. Yellow with an occasional pink blush, Golden Delicious is “Apple Lite” – loved by those who prefer a mild, sweet flavor. There’s nothing tart about this apple….just a buttery, honey taste to please. Great for baking into apple pies and crisps mixed with more tart apples like Granny Smiths. It makes for a great flavor combo that tickles all your taste buds, all year round. Golden Delicious apples are harvested in October. 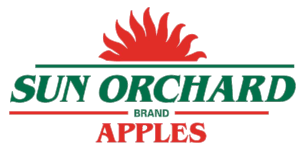 You can find Sun Orchard's Golden Delicious in retailers March through may.